April 2010 – I HATE HATE!!! Okay, this is the 3rd part of my series on how to search the internet. Part 1 briefly covered the history of internet search; part 2 looked (again, very briefly) at how modern search engines like Google work; and now we come to the nitty-gritty: how we actually use a search engine to find the stuff we want. Part 4 will look at how to understand the results brought by the search engine. The first method we’ll look at is the method most people think of using – the keyword search. This involves thinking about what it is you want to find, then choosing words that concisely describe the object of your search. Imagine we want to find out about giraffes. We could type the word giraffe into Google (or whatever search site we’re using – I’m going to use Google as an example, but this should be relevant for other search engines too). So, we tell Google to search for giraffe: and Google turns up 8,550,000 possible results. Now, that is an awful lot of web pages to trawl through to find whatever it is we want to know about giraffes. And a lot of them won’t be relevant at all. If you look at the result page for the search on giraffe you’ll see that the very first result is for Giraffe Restaurants – probably not what we want. So we need to think about what we’re looking for. 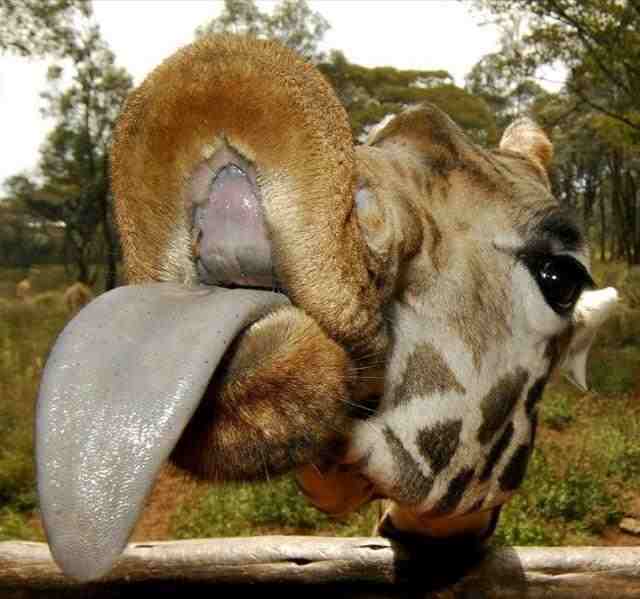 Let’s imagine we want to know about what giraffes eat. We could search for giraffe food – but then we run into that problem of sites for restaurants and other human food companies with the word “giraffe” in their names. Giraffe feeding habits would be better – it garners us some 274,000 results – but also excludes pages where the word “habits” isn’t used, for instance where the phrase “feeding behaviour” is used instead. So what about using giraffe feeding? Google gives us 618,000 results for that, but maybe will include useful pages that we might otherwise miss. And what about giraffe feed? That gives us a massive 1,300,000 results; but this more comprehensive search will give us “feeds” and “feeding”, and sentences like “how a mother giraffe feeds its young” and “what kind of feed for a giraffe in captivity”; and Google will also pick up on the word “fed”, which might be important. It all depends on what exactly we want to find. But anyway, both 274,000 and 1,300,000 are a lot of results to trawl through. So some further refining of search terms may be order. What precisely do we want to know? Are we after info relating to giraffe feeding habits in captivity rather than in the wild? If so, we can search for giraffe feed captivity which gets us just 21,500 results! Yes, 21,500 links is still a lot to check, but it’s an awful lot better than the 2,160,000 pages we started with! Sometimes users might want to use search terms in the form of a question – for example what should you feed a giraffe in captivity. This is generally considered to be a bad idea, because a question might contain words that wouldn’t actually appear in a web page you want to find. Google has a feature called stop words: this tells Google to not search specifically for certain commonly used words (like you, what, in… I’m sure you get the idea. But sometimes we might want Google to include stop words in its search. For instance, we might be searching for references to the movie “How The West Was Won”. To do this, we use quotation marks in the search terms; ie we tell Google to look for “how the west was won”. Then Google will look for pages that include the complete phrase. Another poor use of search terms would be to tell the search engine to look for articles on feeding giraffes or documents about the care of giraffes in captivity. While those would be reasonable instructions to give to a human, they are not appropriate terms for a search engine. Remember, a search engine is a computer program, and computer programs are stupid. They’re good at doing exactly what we tell them to do; but the pages we’re looking for probably wouldn’t contain the words “articles on…” or “documents about…” so using those phrases will exclude many pages that we would actually want. If we wanted to find info about recycling steel or recycling iron, we would use the operator OR, like this: recycle steel OR iron. If we used the search terms recycle steel iron without that OR, the search engine would look for pages that included the words “steel” and “iron”; it wouldn’t bother showing us pages that included just one of the words without the other and we might miss very useful pages. Using the capitalization with OR helps the search engine to understand that it’s meant as an operator. We can use the + symbol to help focus on a particular search term and possibly weed out others. For example, if we are looking for references to King Louis I of France in particular and not any other French kings, we can search for Louis +I France. We can use the define: operator to learn the definition of a particular word. For example, to find out what the word “cantata” means, we can search for define:cantata. This will give us a selection of definitions of “cantata” from various online dictionaries. If you aren’t too confident about the correct usage of operators, you can use the advanced search option with some/many/most search engines. For example, with Google you can click on Advanced search and you will be presented with a form that has a number of search term entry fields. This gives you a simple way of setting a number of parameters to your search. But if you’re confident with using operators, you can construct pretty complex search parameters using just the standard entry field. When you are crafting terms for a particular search, it comes down to common sense at the end of the day. Just plugging in in one or two search terms might be enough for a simple search; but if things aren’t really simple, you need to give some thought to what exactly it is that you’re looking for. If you want to know about how to use the knight in chess, a search for knight +chess will be much more useful than just typing in the word knight or the question how does the knight move in chess. A little forethought can save you a lot of time, by giving you a much shorter list of results to trawl through. Well, I think that’ll do for this part of my guide to using search engines. I realize I haven’t provided a comprehensive list of all the operators available, or all the search strategies you can use – but it would have been pretty futile for me to even attempt that. There are a number of search engines, and they’re not all the same. I advise you have a look at www.googleguide.com to pick up some tips on using Google (the most popular search engine on the web), and The Spider’s Apprentice for some more general advice. But believe me: while both of those sites are very interesting, they’re certainly not essential. This blog post, with a dollop of common sense on the side, should get you plenty of useful results to any search queries you might make. This isn’t the end though – oh no, not by a long chalk. I’ve told you how to get results – now you need to know how to use them. Which is what I’ll cover in Part 4 of my guide to internet search. I’ve got this deal with T-Mobile: I pay them £x and in return they give me “unlimited” mobile broadband on top of cellphone service. Only it isn’t unlimited, is it? There’s a “fair use policy”, which isn’t very fair at all. If you look here, you’ll see what these unfair use policies entail: details vary a little from plan to plan, but the upshot is the user has a “maximum allowance” of data transfer – these allowances can be as small as 40MB per day! – and if you exceed this allowance (by using a mobile internet device for its proper purpose – ie accessing the internet) T-Mobile “restricts” your ability to use the web! At T-Mobile we want to give you our customers the best service possible. Our Fair Use Policy (FUP) helps us do this and also means we don’t have to charge any run on rates. We will never ask you to pay more than you agreed, so you’ll always know how much you’re paying and never get an unexpected bill. Each internet option comes with its own Fair Use Policy. We’ve already sent a text message letting you know you had reached 80% of your FUP, and now you’ve used over 100%. You will continue to be able to use your internet for unlimited browsing. That means you’ll still be able to browse websites, login to Facebook, check your Hotmail or catch the news on the BBC. For the time being, however, between 4pm and midnight you won’t be able to do other heavy usage activities such as watching videos or downloading applications. Before 4pm and after midnight your internet service will continue to run as normal. Your Fair Use Policy duration depends on how you purchase your internet. When your Fair Use Policy begins again, either at the start of the next calendar month or your next purchase, it will be reset to 0 and your service will return to normal. So “between 4pm and midnight you won’t be able to do other heavy usage activities such as watching videos or downloading applications”… or, indeed, downloading files from remote machines, or any email attachments that T-Mobile classify as “large”, nor can I upload “large” files… and this ridiculous state of affairs will continue until the end of the calendar month – unless, of course, I’d like to pay extra to get a larger “allowance” (though none have a particularly large allowance as far as I can see). And T-Mobile also bans the use of instant messaging over their network. No doubt because the availability of IM would eat away at their lucrative business of selling SMS to teenagers. Because that’s what all this “fair use” crap is about, of course. The policies are full of bull like “We’ll monitor how much you send and receive each calendar month so that we can protect our network for all our customers”. But what it all means is that T-Mobile can try to guarantee all of their customers a little internet access at the expense of those who need to use the internet a lot. I realize this is all standard operating policy now with internet service providers, so I shouldn’t complain about T-Mobile in particular. But I will complain about T-Mobile because they’re the bastards who are screwing with me right now! And I’ll also give Vodafone a special mention as I’ve suffered at their hands too. But they are all a bunch of wankers. Seems to me that there’s a cartel in operation, fixing prices amongst themselves so there’s nowhere for a cost-conscious customer to go. And of course, like the flock of stupid sheep we are, we hand over our hard-earned dosh to the robbers when we should be handing them their own heads. But maybe they’re not all on the take – at least, perhaps some of the thieves are a little less dishonest. Next month I’m going to give 3 a try. They sell prearranged “data allowances” so I can pay, for instance, £15 and get a 3GB allowance. The prices are still outrageous, but maybe I’ll be able to use my mobile devices for their intended purpose – to use the internet while out and about!